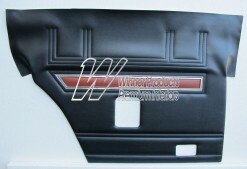 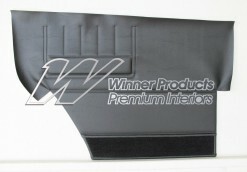 FORD XA GT DOOR TRIMS IN BLACK TRIM CODE B. 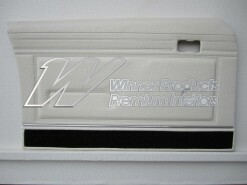 THESE TRIMS HAVE NO METAL TOPS FITTED AND ARE AVAILABLE FOR YOUR LOCAL TRIMMER OR YOUR SELF TO FINISH OFF. Click the button below to add the FORD XA GT SEDAN DOOR TRIM SET ( NO TOPS) TRIM CODE B to your wish list.